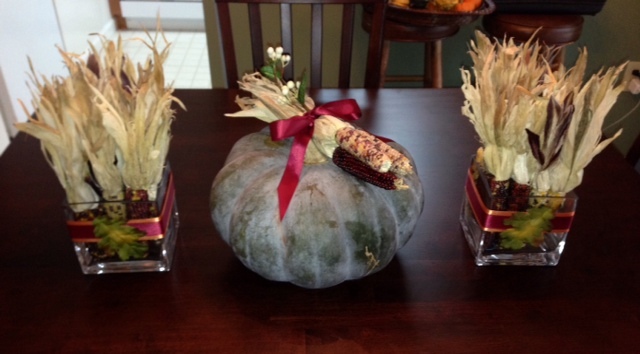 Each centerpiece was created using a different element of fall. 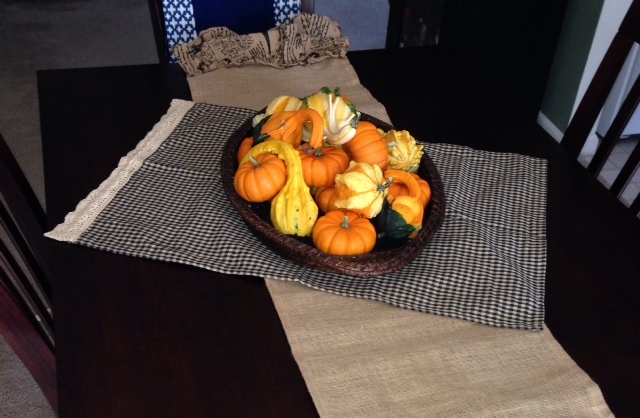 This woven basket tray was filled with gourds and jack-be-little mini pumpkins. This tablescape consisted of a fairytale pumpkin topped with a gathering of Indian Corn centered between 2 glass cube vases filled with mini Indian corn. 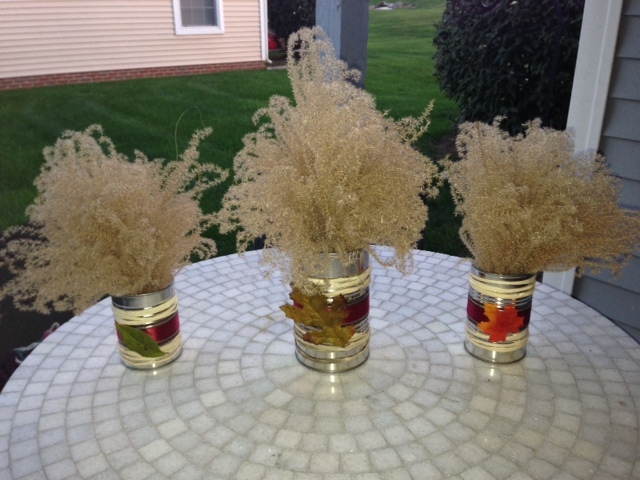 Fall grasses, also gathered from the great outdoors, were arranged in tin cans of various sizes that were decorated with a mix of satin ribbon, raffia and leaves! 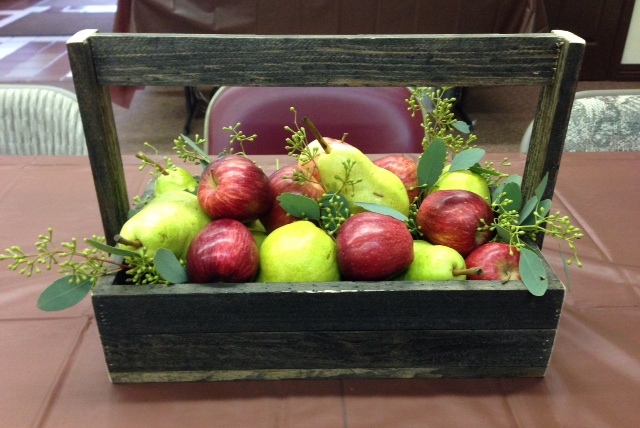 Apples, Pears and Seeded Eucalyptus fill this handled wooden box. And what’s a party without flowers!? 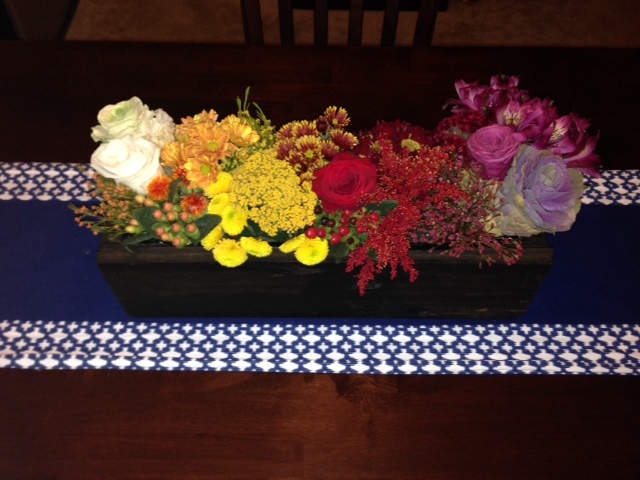 This antique wooden box was arranged with fall flowers in an ombre-style design, moving down the line from whites, oranges, yellows, reds to vibrant purples. 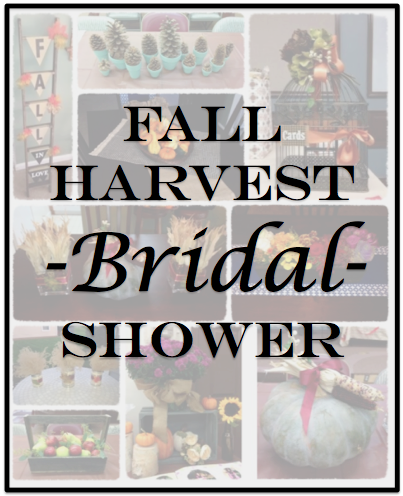 A bridal shower isn’t complete without some bridal-themed games! 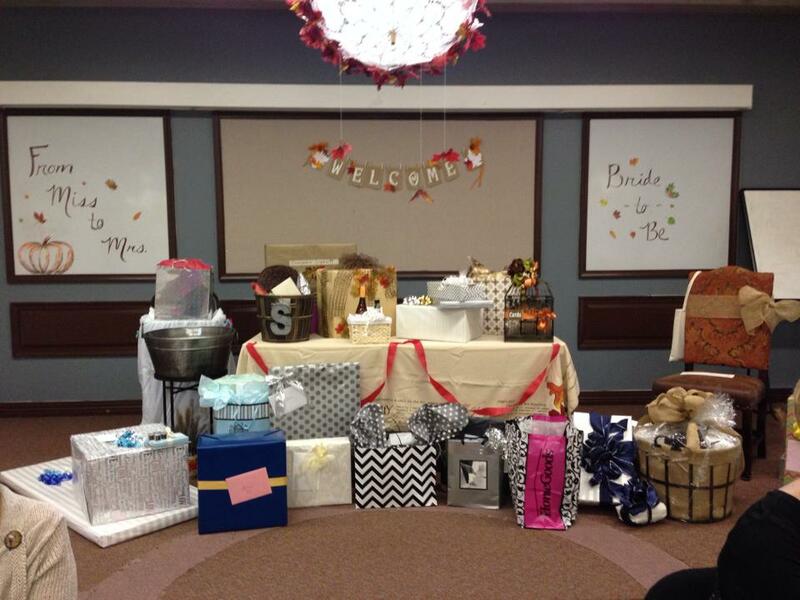 The guests at Stephanie’s shower competed to see who knew the bride-to-be best! And while Stephanie was opening her gifts, the guests played Bridal BINGO! 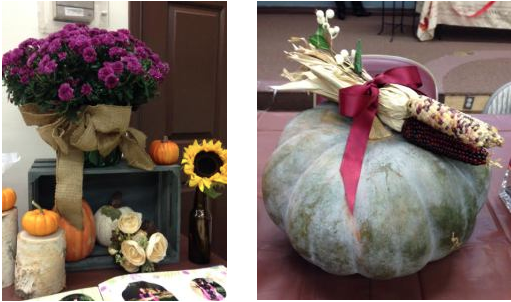 The winners of the games took home gorgeous gifts to add to their own fall decor – one took home a beautiful purple mum tied with a full burlap bow, and one took home the Fairytale pumpkin adorned with Indian Corn (which was part of the Indian Corn table centerpiece). 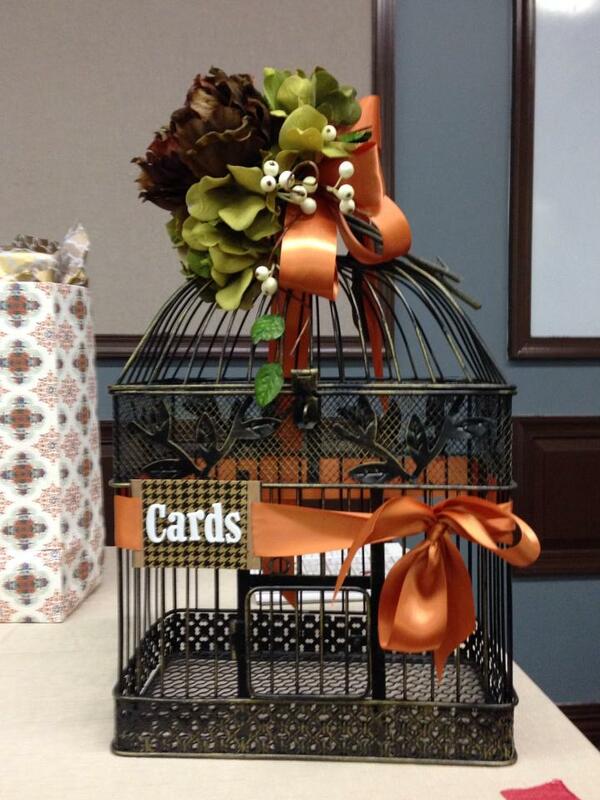 Cards for Stephanie were gathered in this birdcage, decorated with ribbon and faux flowers (a gathering of green hydrangea, brown peony and white berries). 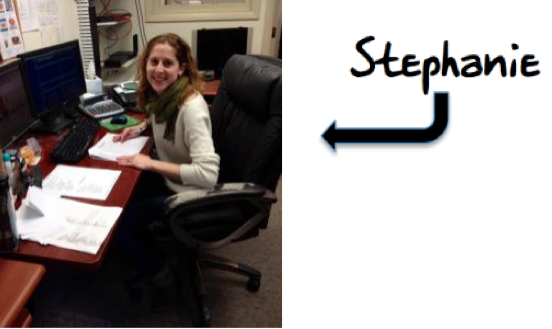 We’re so happy for Stephanie and had so much fun celebrating her upcoming nuptials! Wishing her all the best as she begins a new life as a Mrs! Next Next post: Save the Date! !